Shuja Nawaz, director of the Atlantic Council’s South Asia Center, was interviewed today for the CBC program The Current. He discussed the recent deal between the Pakistani government and the Taliban in the Swat valley. The audio is provided below. The full text is provided below. Provincial authorities in the Swat Valley in northwestern Pakistan struck a peace deal with local Taliban franchisees this week, and in it the government agreed to extend Islamic law in the area. Since then, commentators around the world have pretended to know what the agreement means. Some suspect a “hidden hand,” whether it be the intelligence agencies or the United States. In a conspiracy-prone Pakistan, some even talk of an inside deal between the army and the militants – even as they ignore the hundreds of casualties that the army suffered in Swat. Never mind that facts may interfere with these pet theories. “For months and months the military has been trying to quell the militants. Two days ago their failure was accepted when the provincial government of the North-West Frontier Province went into talks with Mullah Sufi Mohammad and accepted some things. We don’t yet know what those things are but the first promise is peace. Peace on what grounds? We don’t know. Pakistan’s constitution already contains provisions protecting against un-Islamic laws. Why then does the country need an agreement with violent extremists to ensure Islamic laws? And who will pronounce on these laws? The militants? And if the army is to remain in a “reactive” mode, as a government minister explained, will they stand by and watch Taliban justice being meted out to people? 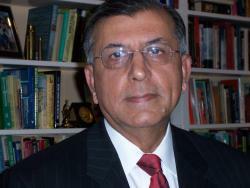 Shuja Nawaz, author of “Crossed Swords: Pakistan, its Army, and the Wars Within,” is director of the South Asia Center of the Atlantic Council. Shuja Nawaz, director of the Atlantic Council’s South Asia Center, published an editorial entitled “What Pakistan Doesn’t Need From America” in today’s PostGlobal, a joint project of the Washington Post‘s David Ignatius and Newsweek‘s Fareed Zakaria. As our forthcoming Atlantic Council Task Force Report on Pakistan stresses, Washington needs to find a way to provide a healthy dose of financial aid to Pakistan, based on a thorough discussion and agreement with Pakistan on how that aid will be used to improve the lives of people across the country and not just in the borderland near Afghanistan. Call it conditionality or “tough love”, it is important to be clear about the objectives of such aid, for the financial climate in the United States will not allow any more blank checks to be issued. On its side, Pakistan has already taken many steps to assure the international financial community that it is ready to get its economic house in order. But much more needs to be done: Improving the tax administration, broadening the tax net to capture agricultural income and capital gains, strengthening the legal system to provide cover for investors, especially from abroad, and removing corruption from the highest levels of government. Too many ministerial appointments to its cabinet (which now has 83 members) are seen by the coalition’s multifarious member parties as cash cows for their party coffers. Pakistan could also end the current “cash-for-hire” scheme under which its army was sent into the Federally Administered Tribal Areas. The U.S. promised to reimburse its “non-NATO ally” for the costs of making this move, and the more than $10 billion in aid given for this purpose is often used as a political stick to beat Pakistan during any discussion of aid to that country. But the U.S. reimbursement scheme barely covers the marginal costs of the army’s entry into FATA, and the political costs for Pakistan have been very high, creating a huge backlash among the population of the region as well in the rest of Pakistan. Inside the Pakistan army there is simmering resentment at all levels about the manner in which the military aid and reimbursements are handled. It would in the interest of both countries to end this scheme, and for Pakistan to truly take on the war against militancy as its own war. Then, if the U.S. is serious about helping Pakistan, it would do so by meeting Pakistan’s needs for financial aid and equipment (including helicopters and training). Let Pakistan do its own job, for its own sake, not because the U.S. pays it to do so. Shuja Nawaz is Director of the South Asia Center of the Atlantic Council of the United States and a member of the Council’s Task force whose report on Pakistan will be released later this month. He is the author of Crossed Swords: Pakistan, its Army, and the Wars Within (Oxford 2008) and FATA: A Most Dangerous Place (CSIS, 2009). He can be contacted at www.shujanawaz.com. The coordinated attacks by the Taliban in Kabul on the eve of U.S. Amb. Richard Holbrooke’s arrival were no coincidence. Apart from ratcheting up fear among the citizens of Kabul, these attacks may well reflect a sense of desperation on the part of the Taliban. They fear that the impending arrival of additional troops in Afghanistan and simultaneous attempts to begin a dialogue with elements of the Afghan insurgency could leave them isolated. Hence the need to show their strength and ability to penetrate and attack the government in Kabul at will. Apart from showing off their military prowess, the Taliban wish to highlight President Hamid Karzai’s inability to control even his own capital. There may be a regional strategy behind this approach. The complex interrelationship between Afghanistan and Pakistan, especially in the fluid border regions, is something with which the West has become suddenly and painfully familiar with in recent years. Shuja’s essay focuses on a Comparative Politics 101 issue that we International Relations types often overlook: the key role that good governance plays. It’s something in short supply in South Asia and, indeed, most of the developing world. And it would be worth more than all the Predator drones and provincial reconstruction teams in the world in ridding the region of extremists. Shuja Nawaz, director of the Atlantic Council’s new South Asia Center, commented today for an NPR piece on President Obama’s use of unmanned drone strikes in Pakistan’s tribal regions. Other commentators included Stephen Cohen of the Brookings Institution’s Foreign Policy Studies program; Retired Army Col. Andrew Bacevich, a professor of history and international affairs at Boston University; and Seth Jones, a South Asia expert at RAND Corporation. Photo credit: Maya Alleruzzo, AP, NPR.